This Pink Single slide Inflatable MiniCombo is a perfect alternative from a regular bounce house. 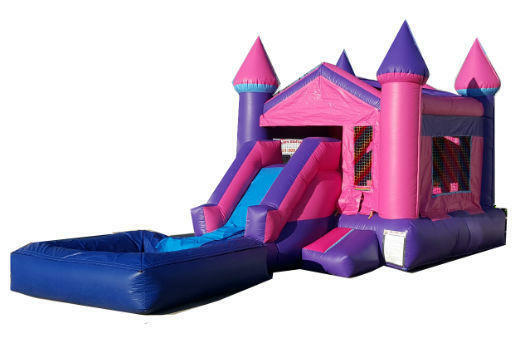 This unti has a bouncy area, a climber and a 6ft slide and a pool at the end of it. This is perfect for girls parties and related themes.